I was amazed by how many issues the show covered in the space of half an hour. For someone who is unfamiliar with Egypt, I imagine it could have been an information overload, but I felt I could understand everything that was being said. 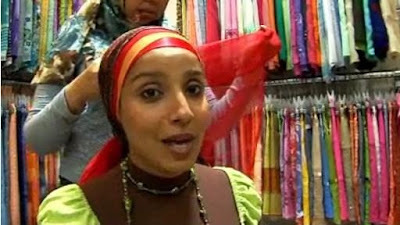 Amani introduces us to the world of Egyptian hijab fashion by saying that other Arabs view it as a bit chavvy. It's hardly the glam style of Dubai, but a heck of a lot more interesting! Not to say that Egyptian fashion lacks in style, but when your eyeshadow matches your ring which matches your handbag, which complements your hijab which matches your shoes which match your lip gloss - we've got some problems! Sure it's important for an outfit to be co-ordinated, but using the same two colours throughout is a little overboard - mix it up a bit and add pieces which contrast! If you want to check out Egyptian fashion yourself, have a look at Hijab Fashion magazine. 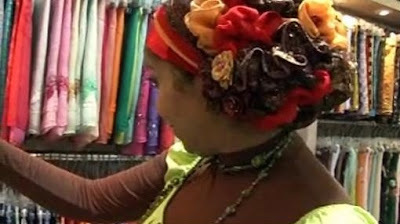 I absolutely loved the hijab shop that Amani walked into. How amazing were those styles? 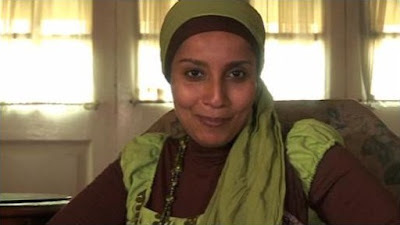 And what she said is true - that the fashion in Egypt is lead by everyday people on the street, and not by elite designers. And that is something I think is great. Another topic this episode covered was the booming cosmetic surgery industry. However, this is not confined to Egypt only. Women all over the Arab world are becoming obsessed with having these procedures done. You'd be hard pressed to find a female actress/singer who hasn't gone under the knife! Sabah anyone? Something I really appreciate the show for including was Egyptian bloggers. In my view, Egyptians are the most prolific users of the Internet in all the Arab world. It's a common past time among young people to hang out 'fel net' - in Internet Cafes. The Egyptian blogosphere is incredibly active, as it presents a medium for people to express views which they are not normally able to. Some of them have even been arrested for doing so! One of my faves is Arima's blog, and she has links to plenty of others if you care to research more. 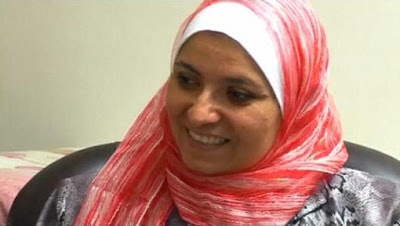 Amani also had the opportunity to talk to Dr. Heba Kotb, Egypt's first licensed sexologist. Personally, I think she does a great job. Finally there is someone who can talk frankly and respectfully about an issue which is so often considered taboo. What do you think? 'Cairo is ze barty cabital of ze Arab world' - oh yes it is! Egyptians never do things by halves - and they sure know how to have a good time! One thing that really amused me was the fact that many of the Khaleeji tourists objected to the film crew being in one of the popular hang-outs! 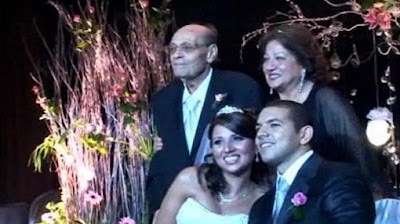 We were also given the opportunity to see the wedding of two AUC graduates. It was a thoroughly extravagant affair - live bands, dancers, a troop of cameramen... Obviously this was a very well-to-do family. I'm surprised that the programme did not make any comment about how this very extravagance is what makes marriage in Egypt unaffordable for many young people. There is a huge disparity between rich and poor, and I wonder if they should have perhaps said something about this. The answer? They just stand in front of the mirror and create! Now this pic is from next week's episode, which is filmed right here in the UK! I can't wait! Egypt is definitely a country of contrasts. I reckon everyone should try to visit this vibrant country, and I don't just mean Sharm El Sheikh. Cairo is top on my list of places to visit... ta7ya masr! Hayah, you did a fantastic job, wallahi! I totally agree about the color coordinating thing. I kid you not that the socks must match at all times. Excellent review Hayah! And very detailed which will be great for those who didn't get to see it. Did you see on You Tube that they have a clip of one of the future episodes which will be in the Netherlands? I have to say I wasn't quite so keen though it does do a good job of educating people that there are all sorts of Muslimahs out there. I agree tha perhaps for those who don't know Egypt so well that it must have been a bit of an information overload but inshallah it inspires people to learn more. The only thing that I would comment on as not being emtirely accurate is party capital of the Middle East- that really depends on a) you r class b)how religious your family are c)where you live. Arima, thank you! Yeah I did see the clip. I can't agree with what the girl does, but hey at least they're showing that Muslims aren't a monolith. As for party capital lol.. I think Beirut used to be great for nightlife, but the crazy political situation means that tourism has declined severely, and what with the airport closing every so often lol.. Cairo is a much safer alternative! Also did you see on this clip at 0.43 there is a girl wearing a headscarf but also a short sleeved t-shirt underneath. First time I've seen that in Egypt but I saw loads of that when I went to Birmingham a few weeks ago. My understanding was that you couldn't really do that- any ideas as to how this is justified? Also is that common amongst Muslims in London or is it just a Brummie thing? LOL. I love the styles but hate how so much of the neck and ears are exposed and tight clothes with no coverage from the hijab offered. Masha'allah the woman in the bottom pic is beautiful. Alix, yeah she's lovely mashallah! i watched this programme it was good. it's nice to hear your thoughts on it also. i must say i agree with most of what you said. nice blog as well. assalamu alaikum. I disliked the hijab styles they are very unislamic showing the neck and tight clothes....not islamic at all. And the belly dancer showed her awrah..!! This is haram for women and men to watch. Too bad I missed the other programmes maybe they where better.. But Amani seems to think that women are forced to wear hijab? or did I missunderstand her??? another thing i learnt and was interesting was the fact that bussinesswomen/men dnt like to reveal thier profits! i was telling my family about that, coz in our community everyone tries to work out how much each person earns or makes in bussiness!!! Assalamu alaykum sister, ive taken a look at all your posts starting from the beginning, and i really like the work u've been doing trying to show us some really nice hijab styles, thank u so much for that and may Allah reward you for your efforts! Anon 1, well it'd be a bit difficult to belly dance without showing your awrah lol... somehow I don't think they were to bothered. No I don't think Amani was saying all the girls are forced, but that inevitably, some of them are. Anon 2, this is the way most girls in the UK, USA and many other parts of the world dress anyway, just not so over-the-top with the colours and matching! 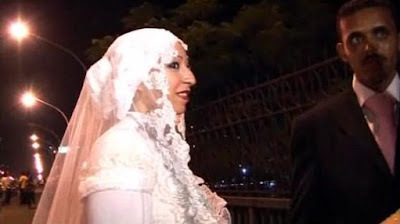 What was the name of the woman who first took her veil off in the 1930s whilst stunbling into a station in Egypt? Armani mentioned her in this episode. i didn't like how the clip started off with amani talking about the woman who "took off her veil" and started a no-veil trend, which is unclear as to whether it was her face veil or headscarf? and i was interested in seeing all the different styles of scarf...and i would like to see women covered up around me--even if their clothes are too tight--because i'd rather see fabric than skin any day! but this clip focuses only on the cultural trend of hijab--and does not seem to account for the religious motivations? i like the egyptian style! it's funky and fresh!